Make it easy to meet your tax obligations with fast and easy auto updates including the 2014/15 tax and payroll release. You don't need to be an accountant, anyone can do it. Be up and running in minutes and in just 3 simple steps you can get your quotes and invoices out the door and get paid faster. Don't waste time keying in data or entering receipts. 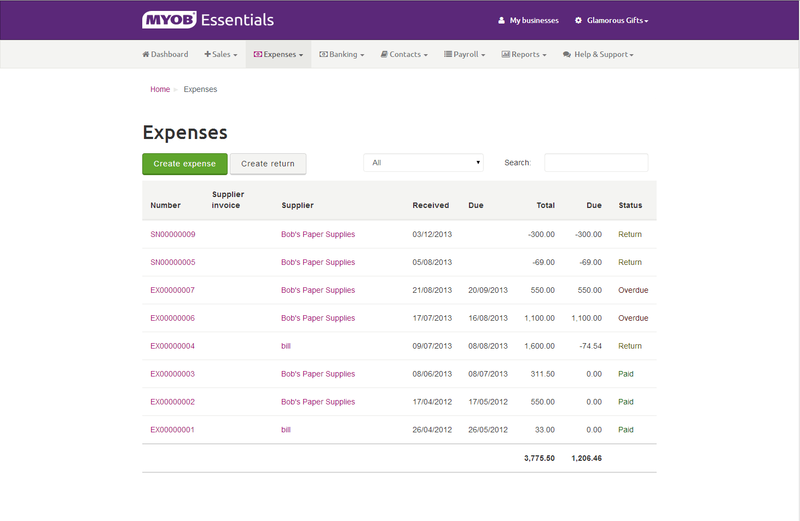 Link your bank to MYOB Essentials and bank transactions are transferred securely. You get unlimited bank transactions, unlimited invoices, and you can pay an unlimited number of employees no hidden costs. Track all asset write offs and depreciation. Lodge your taxable payments report directly to the ATO. Select the items to invoice. You can even convert accepted quotes into invoices in a single click. 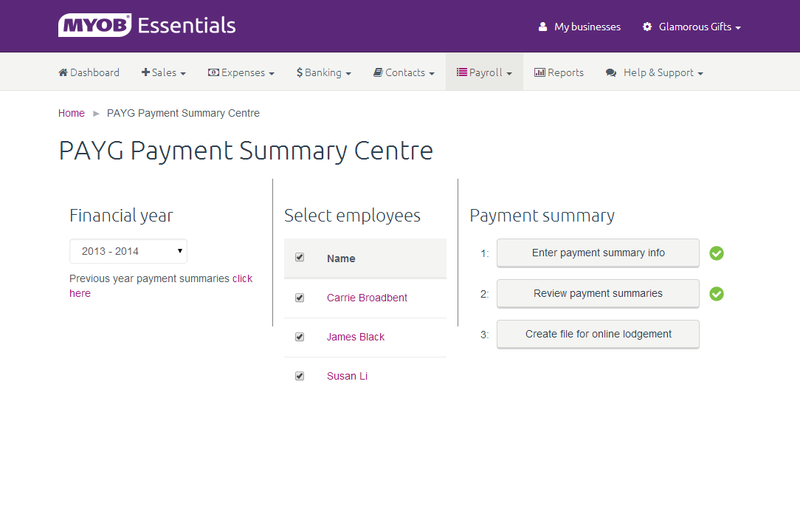 Whether you submit your BAS quarterly or monthly, MYOB Essentials has you covered. See an up-to-date estimate of the GST you currently owe each time you log in. 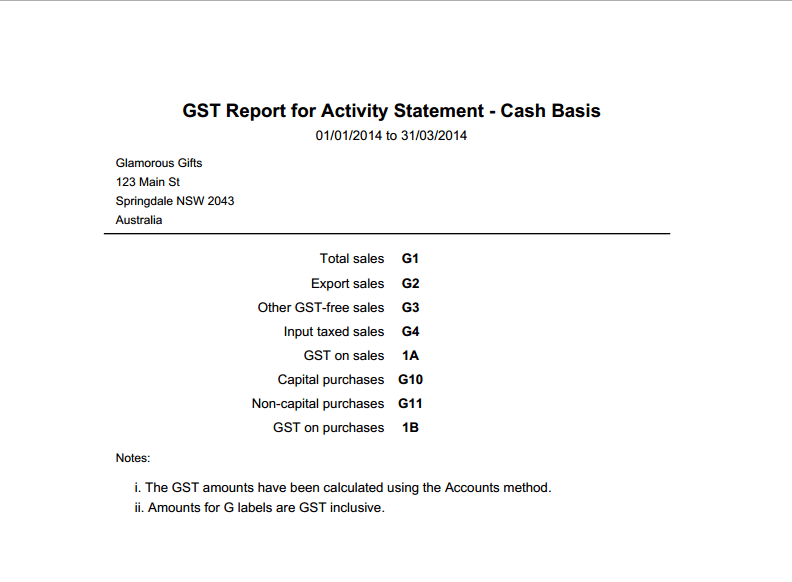 Easily generate a GST report and information to make doing your BAS a breeze. And never be in the dark again about how your business is performing with access to over 30 reports. is completely secure, and you don't need to give out your online banking details to use it. *Source: Bank Feeds Time Saving Survey via MYOB Client Insights. September, 2013. Work out your super and PAYG tax obligations. 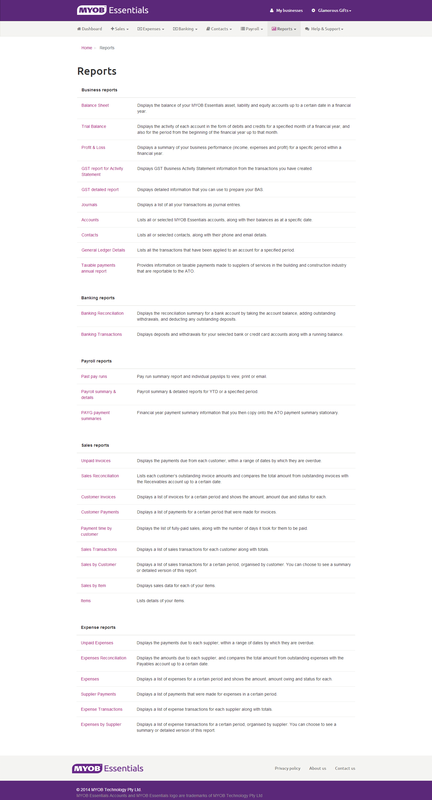 Easily create and lodge your PAYG Payment Summaries, straight from your software. 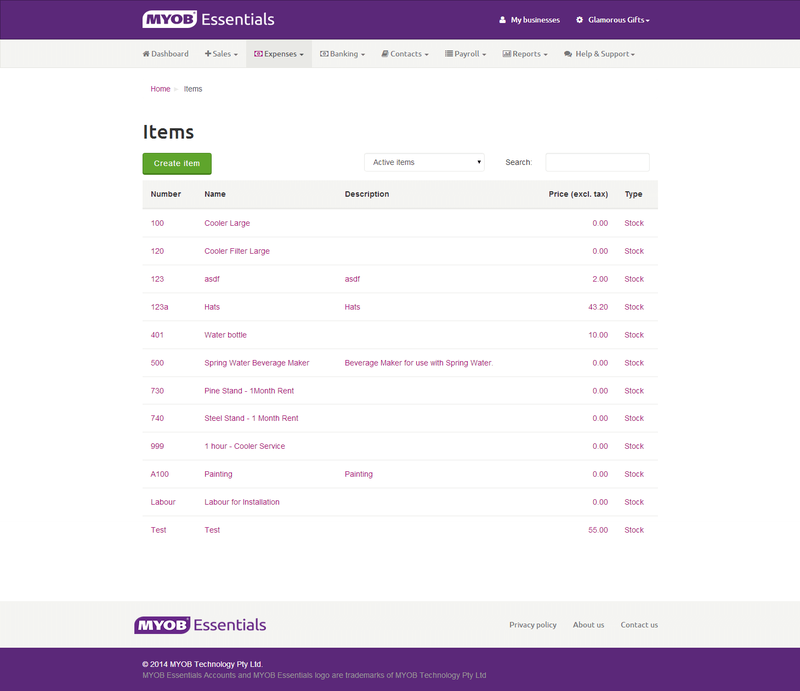 You can use your items in expenses, quotes and invoices. Managing stock returns and customer refunds is a piece of cake. Create stock items for products and time-based items for labour. Never be in the dark again about how your business is performing. 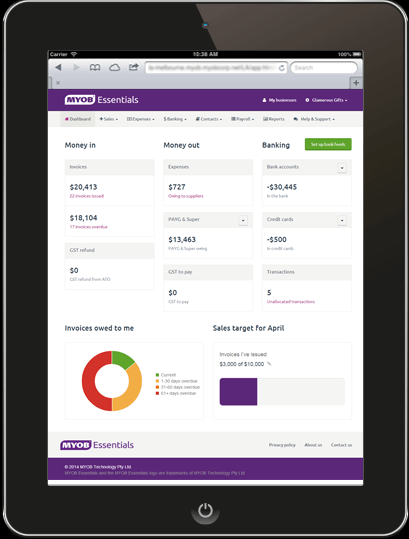 With MYOB Essentials you'll have access to 30 reports including GST, BAS and Profit and Loss. No software to install, everything's secure and automatically backed up. The cloud suits the way modern businesses work. Effortlessly pay bills from anywhere, anytime. Easily pay staff over the weekend. Always see how your business is performing. Work more closely with your team and external bookkeepers and accountants. Even if you leave your laptop on the train or in the back of a cab, your data stays safe in our secure data centre no worries. You'll always know how much is owing and when it's due.